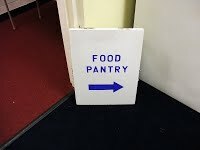 Our Food Pantry is located in the new construction wing and is open every Wednesday from 1 pm to 2:30 pm. 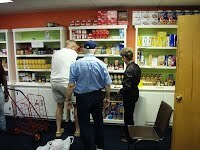 The pantry has been open since the early 1990’s and it is staffed by church volunteers. It is open to the public. Patrons may come one time a month and we try to give them two or three day’s supply of food each time they visit. 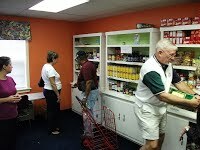 The Pantry is always in need of items which are not available at the Fredericksburg Food Bank. 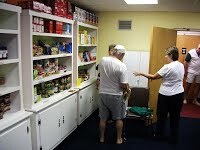 CLC FOOD PANTRY’S NEEDS for this month are boxed/canned milk, cereal, saltines, peanut butter, baked beans, other beans, fruit, Chef Boyardee, canned beets, canned corn, canned green beans, and canned mixed vegetables. There is a basket in the narthex for your donations. Your generous donations of these items are appreciated as the food bank is running low on all of these items.